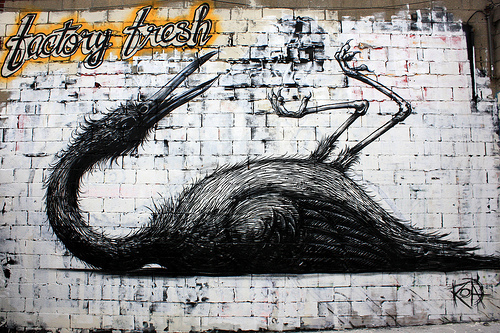 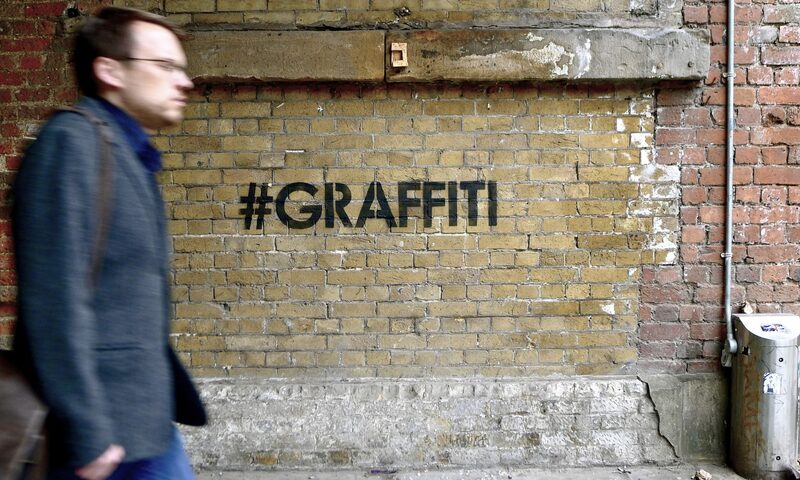 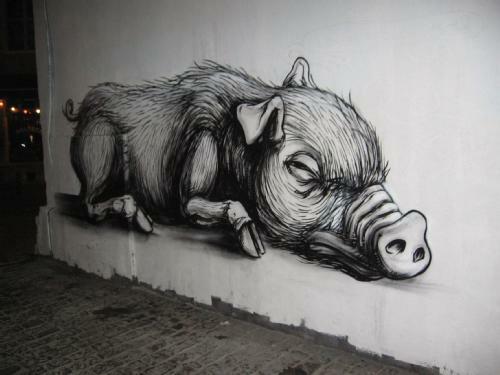 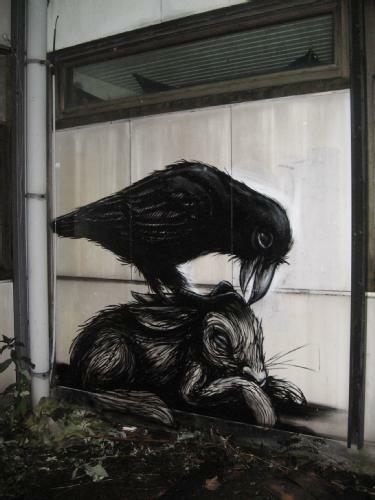 If I were to buy one big original work by a street artist tomorrow, it would probably be something by Roa. 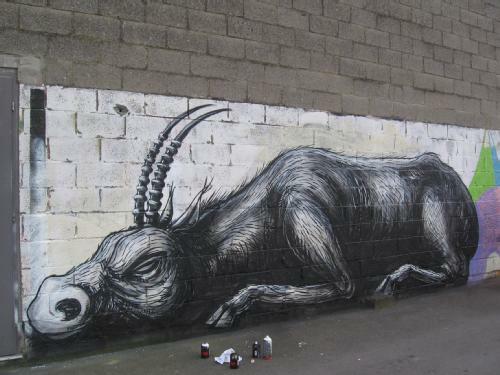 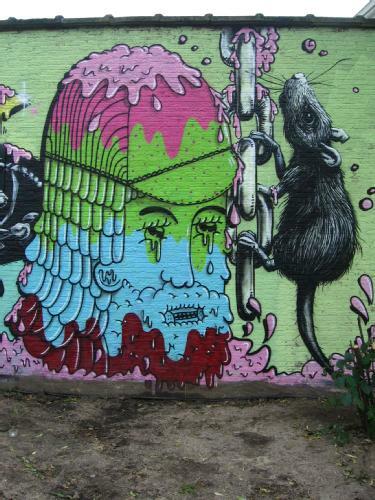 Roa’s from Belgium, and doesn’t do that much work outside of his home country (at least not that I’ve found), but he’s just done some amazing walls in New York. 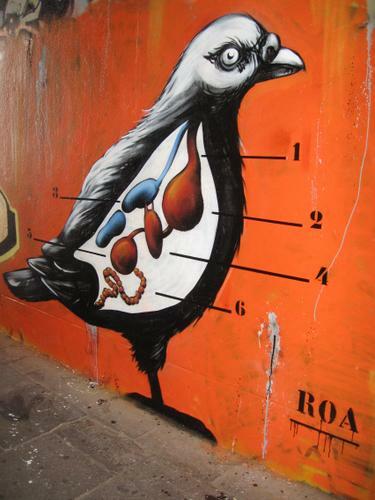 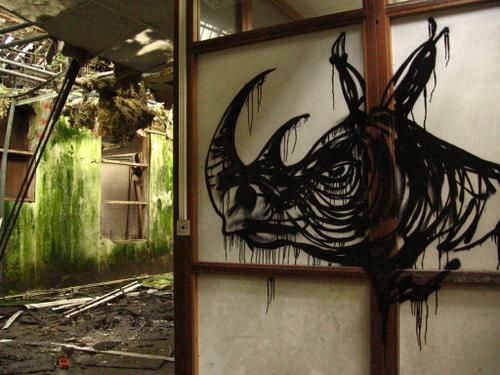 Roa paints animals, usually in black and white, and sometimes includes their skeleton or internal organs. 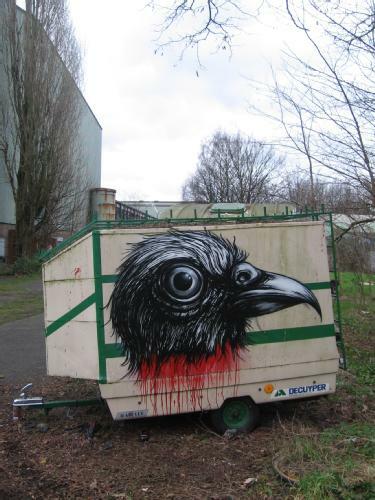 And he goes big.